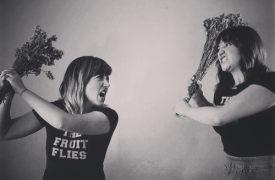 The Fruit Flies (Molly Walburn & Danni Parpan) are an indie folk-rock duo originally from Chicago, IL. Now residing in LA, these Midwest-born-and-raised-corn-fed ladies are the perfect mixture of 1 part musical talent, 1 part sassy charm, and 2 parts inappropriate behavior. 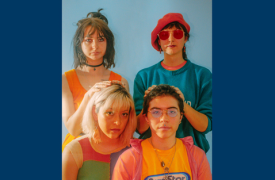 They’ll open-mouth kiss you with their witty stage banter and their catchy tunes will be stuck in your head for weeks and weeks. We are Girl Friday and we like power. 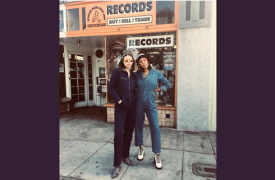 Jeli Daniel Began an All Female LA Based Collective of Lady Selectors who Spin West Coast and Classic Sounds through 33's and 45's Curating the Sounds of A Music Revolution.